Creating Urgency and Competition for Buyers - Priceless! Recently, one of our new customers ran her first online auction to sell one of her properties. It was another good example of how creating urgency and competition, gets buyers to take action. Being new to the process, she was very diligent in reading all of our training materials and strategies, watching the how-to videos, etc. She also called and e-mailed me several times through the process with other questions and to get my opinion. Now the property she was selling was minimal at best, it was a 2 bed, 1 bath 860 sq. ft. home with no basement, but it was nicely rehabbed and ready to move in. It was a good property for a landlord because it could be rented and would cash-flow. The auction was open for online bidding for 20 days. It was listed in the MLS with bidding information, signs in the yard and 2 open house previews. She followed the process as suggested. With 4 days left she had two interested buyers and they were taking turns being the high bidder. On the last day a 3rd buyer jumped in and got involved in the bidding. Due to all the competition, one of the 3 buyers told her they were placing a bid for full price as listed in the MLS and sending a contract. Rather than end the auction early and accept the full price offer, she decided to let it run it's course. The auction never did reach the full MLS listing price (close - a few thousand less), but that buyer who really wanted it still wrote their offer at full price. She was thrilled and surprised because she wasn't expecting to get her MLS listing price. To me, it's just another example of how the online auction process can create competition and urgency for buyers. This results in "demand" which is always a good thing for a seller. Over the past 4 years, I've been focused on using Online Auctions to market and sell real estate. There is a huge opportunity right now to take advantage of all the buyers looking for deals in today's market. 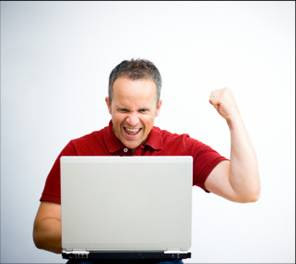 When you sell using an online auction you draw more buyers than any other method. Buyers today know (thanks to the media) that there are great deals to be had, they just don't know where to look. When you sell using an auction, you are telling them LOOK HERE. However, even with this great opportunity, there is still a lot of confusion on what is needed to make an online auction successful. Here are a few strategies that will help you succeed with this powerful method. 1) The property being sold MUST be a good value. If a property is listed in the MLS and isn't getting offers, don't expect the online auction process to yield anything different unless the owner is willing to take at least a 10% discount. 2) Take at least 10 pictures of the property, 20 is better and pictures plus a video tour is best. 3) Schedule and hold at least 2 open house previews, 3 is best. 4) Place signs in yard and directional signs on nearby street corners. During open house previews make sure your open house signs get attention (i.e. balloons or ideally hire a person to stand and hold it). 5) MLS - Put the listing in the MLS with information about the online auction, open house preview times and a link to the listing where bids can be placed. These are just some of the main strategies that will help an online auction be successful, hope you can use them in your next or first online auction. Technology continues to provide better tools and strategies for selling real estate. It only makes sense that real estate agents who stay on the "leading edge" will have an advantage over those who don't. Using online real estate auctions is one strategy that can give an agent the "edge" and we're still in the initial stages of them taking hold in the market place. 1) Since all the bidding is online, you get a record of everyone that placed a bid. At the end of the auction you will have a high bidder but you will also have a list of the other bidders contact information that you can invite to your next auction or help them buy another property. 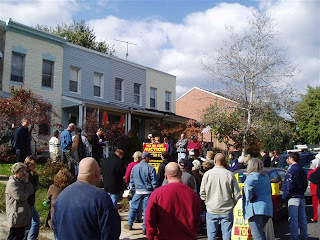 2) Marketing a property through the auction process attracts many more buyers to your open house "events". You can collect information on these buyers so you can follow-up if they aren't the winning bidder and help them buy another property. 3) Since you attract more buyers to your open house "events", you can approach a mortgage broker or lender to pay to be on site at your open house. If done right, you can collect enough to cover all the costs of advertising, catering, etc. 4) Your auction marketing will attract other homeowners who are tired of waiting for their property to sell. Those who are motivated will be very interested in having you do an online auction for their property. One online auction almost always leads to another one and many times several more. 5) The majority of winning bidders at an online auction are not represented by a buyer's agent. That means there is a good chance you won't have to split your selling commission. These are some of the many added benefits of using online auctions to market and sell a property that most agents don't realize or capitalize on. Hope you found it helpful! After 14 years of working in the computer industry, I got involved in real estate. I was drawn to the concept of online real estate auctions and I've spent the last 4 years using them. Here are some more answers to common questions about them. Q) How do auctions give you 3 opportunites to sell? A) By holding an auction it's not uncommon for someone to bring a written offer when the auction is announced to try and get it without competing with others. The second opportunity is when the auction ends with a winning bidder. The third opportunity is from follow-up with all interested buyers if it doesn't bring a winning bid. Q) What about non-U.S. buyers? A) An online auction makes a property open to a worldwide audience. I was surprised the first time I saw a buyer from France win an auction. It demonstrated to me that online bidding is an effective way to get a property in front of a worldwide audience. 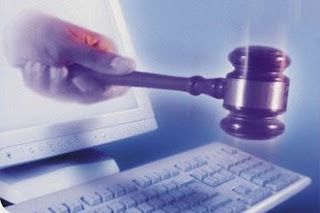 Q) Will an online auction work in my market? A) It depends. If you are in an area where most people have high speed Internet access, than it will work. If you're in an rural area where most people use dial-up and therefore aren't on the Internet much, it will be much harder. Q) Do I need a special contract or process to sell through an online auction? A) No. An auction is simply getting you to agreement on price and terms with a buyer. The standard contract takes over from there, just like any other purchase agreement. Thanks for Reading! I hope you learned something.